Matt Arant is a second-year MPA student. For the past year, he has worked with the Council of State Governments as a Graduate Fellow in Education Policy with a emphasis on Postsecondary Education. As part of my last week as a graduate fellow in education policy at The Council of State Governments, I was able to attend the organization’s National Conference in Nashville. A four-day event drawing nearly 800 state legislators and various members of governmental agencies and the private sector, the conference consisted of numerous meetings on a wide variety of policy-specific issues. I helped with a couple of sessions pertaining to education while in Nashville, starting with a policy academy about innovative delivery models in postsecondary education on Thursday. The structure and content of this particular session was very similar to what I had helped prepare for our regional meetings, held in Savannah, GA, Vail, CO, and Wilmington, DE over the summer. We opened the session with a keynote speaker who offered a national perspective on workforce alignment with postsecondary education and the creation of a “pathways to prosperity” network. Following the keynote address, we had a three-person panel share more of a state-specific perspective (basically which states are doing what) in terms of offering credit for prior learning and effectively bringing former students back into education to finish their degree or credential. The second half of the session addressed this issue largely from the perspective of the private sector, with our lunchtime address coming from the Vice President of Human Resources at International Paper and representatives from Honda and UPS serving on our final panel of the day. The overarching theme of this portion of the session was how to draw high-caliber workers to companies, essentially narrowing that “skills gap,” a phrase policymakers love to throw around. We had between 60 and 65 attendees for the session, a good amount considering the conference did not officially start until the next day. I helped coordinate the entire session because of a recent staff change within CSG, reaching out to legislators across the country and finding suitable speakers. Since I had first-hand experience with helping set up the policy academies at our regional meetings, coordinating this event was not too arduous. I was only able to stay for the sessions on Thursday and Friday, but CSG does a very nice job in providing a wide variety of content with the hopes of strengthening existing relationships and building new ones with their members. It was a great way to end my time as a graduate fellow. Danielle Clore is the Executive Director of the Kentucky Nonprofit Network. KNN was established in 2002 and serves as our state nonprofit association. According to their mission statement, “KNN provides quality education, sharing of best practices and resources, technical assistance, time and money-saving member benefits and a unified public policy voice.” Danielle earned her MPA from the Martin School in 1998. We asked Danielle about her work today and her experiences at the Martin School. The upcoming legislative session is also a focus. She works directly with her public policy committee. Danielle develops educational materials for both members and legislators. She was recently nominated for a national award for her role in the creation of a nonprofit Task Force in Frankfort. In addition to KNN’s seasonal activities, Danielle is also constantly developing the organization. “On a regular basis I’m working with our staff member and contract consultants on membership strategy, communications efforts, overseeing finances, selling sponsorships, working with our grant proposal writer and providing one-on-one technical assistance to nonprofits,” she says. You have to gain work experience. I remember when I graduated with my undergrad degree and thought, hey look at me – I have a degree, time to hire me! Well, that didn’t work out like I’d hoped and that ultimately led me to the Martin School. But the same is true for graduate school – a degree alone, no matter how well suited to the position you are applying for, is not enough. While in graduate school, I worked full time. I realize that’s not ideal for everyone and there were some semesters that were really tough, but I knew exactly where I wanted to focus my career when I graduated because I’d had several positions while in graduate school. Remember that some positions are great to help you find your passion, but other positions can help you decide what you DON’T want to do with your career. Those experiences are just as valuable – and better to find out sooner rather than later! If you aren’t doing an internship or working, even part-time, consider an intensive volunteer assignment. A combination of these will build a strong resume – and you’re going to need it. As first year MPA and MPP students are keenly aware, our masters programs require an internship. Typically, this component is completed in the summertime between the first and second years of study. Why is it important to complete an internship? Internships can help you explore your passions. You may have a few ideas about what kind of work you want to pursue after you complete your degree. Internships are a great way to get your hands dirty in your field of interest– you may be surprised by what you like or do not like! Internships can make you more competitive. Experience matters. An internship can provide you with the opportunity to hone your skills, observe what others are doing to be successful, and provide you with great networking resources. In fact, Dr. Jennings points out that many students get their first professional job directly from their internship experience. Determine where you want to be. Do you want to intern in Lexington over the summer, or do you want to intern elsewhere– Washington D.C., other local governments, abroad? Set job alerts on internship search engines so that the internet does your work for you! Utilize the list at the end of this post to get started. Network! The Martin School provides lots of opportunities for you to connect with alumni and community members. Utilize those opportunities to the fullest. NASPAA has some great tips and resources for finding internship opportunities. This includes a job search engine on their sister-site, PublicServiceCareers.org. USAJOBS is the place to find jobs or internships for the federal government. This is a prime place to create a job alert, since positions may be posted and removed quickly. Idealist.org lists opportunities in the non-profit sector for both internships and jobs. The University of Kentucky's Hazard Mitigation Grants Program Office (UK-HMGP) has two main functions. It administers pre- and post-disaster grant funding, and coordinates local hazard mitigation planning activity and writes the Commonwealth's hazard mitigation plan. UK-HMGP, then, works in conjunction with Kentucky Emergency Management and the Federal Emergency Management Agency to carry out this work. UK-HMGP is housed within the Martin School which has a contractual relationship with Kentucky Emergency Management to conduct project development, project management, and planning activities. 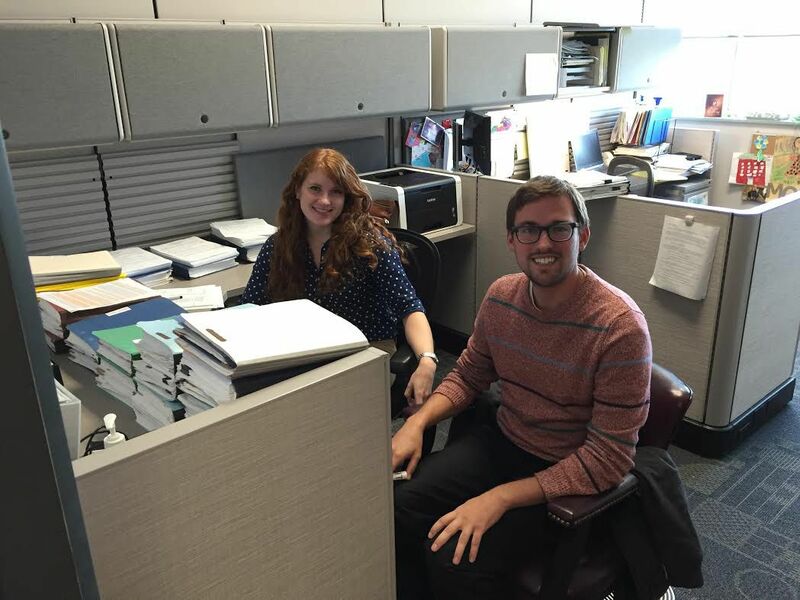 Two Martin School graduate students work as research assistants at UK-HMGP. Sam, a first-year MPP student, works to review hazard mitigation plans, and Maddy, a second-year MPA student, helps manage awarded grants and reviews payment requests. Both students also complete benefit-cost analyses for potential projects. Through this program, the students gain valuable experience in public administration and the federal grants process. Given UK-HMGP's closeness with Kentucky Emergency Management, students also experience state-level and local-level government firsthand. Lauren Kesselring, a second-year MPA student specializing in Public Financial Management, provides an update on the second day of the conference she is attending. On the first day of Dr. Toma’s public economics class last spring she told us that we would look at the world differently after her class. After the two day introduction to municipal analysis conference I am already looking at the world differently. As I was on my way to the airport on a suspension bridge looking over a port seeing planes taking off and landing and they first thing I thought was that all of these are funded through different municipal bond offerings. Public finance touches every aspect of our daily lives, and if it is done well, the general public is generally unaware. On the second day of the conference, I heard about what happens when public financing goes wrong. We started off the morning with pensions and how public pensions became so underfunded. I learned that when analysts look at pensions, they use a constant discount rate to compare across municipalities. We talked about chapter nine bankruptcies and all the work that happens behind the scenes between the government, banks, and investors to try to prevent bankruptcies. Hopefully state and government officials are getting a better grasp of pensions so there will not be an influx of chapter nine bankruptcies in the future.